A Life Trustee of Columbia University since 1956, Burden (who died in 1984) was among the “people in the Eisenhower administration” who “hunted for ways to reduce Lumumba’s influence” and, along with CIA Director Allen Dulles “and the CIA’s man in Leopoldville[Kinshasa],” Larry Devlin, “devised actions,” according to Katholieke Universiteit Leuven Professor of History Emmanuel Gerard and University of Pennsylvania Professor of History Bruce Kuklick’s 2015 book, Death in the Congo: Murdering Patrice Lumumba. The same book also noted that Devlin, was “a CIA agent from the late 1940s” who “began spying for the CIA in Brussels, where he had a cover position as an attaché’” in 1958 and where he “made contacts with the Congo’s politicians, who came to Belgium for various deliberations.” After his appointment as the CIA’s chief of station in the Congo in “the second part of 1959,” Devlin “went there with Burden” in March 1960, when the Columbia Life Trustee and his wife traveled through the still not-yet independent Belgian Congo. Coincidentally, besides being a Columbia trustee in 1960, Burden was also a trustee of the Farfield Foundation that was utilized by the CIA, during the Cold War Era of the 1950s and 1960s, as a conduit for covertly financing projects and journals, like the American Congress of Cultural Freedom [CCF] and Encounter magazine, which promoted U.S. power elite foreign policy objectives. “`You can’t expect much from a journalist at that level,’ Burden said pulling out his address book and flipping through the pages. He picked up the phone and put a call through to the personal assistant of Henry Luce, Time’s owner. “Luce soon returned the call. After a brief, friendly exchange that made clear his personal relationship with Luce, Burden bluntly told him that he would have to change the Lumumba cover story. Luce apparently said that the magazine was about to go to press. `Oh, come on, Henry,’ Burden said, `you must have other cover stories in the can.’ They chatted for a few more minutes before Burden hung up. In 1973, for example, besides still being both a Columbia trustee and the honorary chairman of the board of the Pentagon’s Institute for Defense Analyses [IDA] weapons research think tank, Burden--a former Assistant for Research and Development to the Secretary of the Air Force--also sat on the board of directors of Lockheed, CBS, Manufacturers Hanover Trust and Allied Chemical and was still a director of American Metal Climax [AMAX], according to a Feb.6, 1973 Columbia Daily Spectator article. In addition, the former U.S. ambassador to Belgium also sat on the board of trustees of the Museum of Modern Art in 1973. According to Professor of Political Science George Nzongola-Ntalaja’s 2003 book, The Congo from Leopold to Kabila: A People’s History, however, “both houses of” the Congo’s “parliament, where Lumumba still had a working majority gave him a vote of confidence and rejected Kasa-Vubu’s decision as null and void.” But on Sept. 14, 1960, future Congolese/Zairean dictator Mobutu “pulled off his first military coup with the help of the CIA.” Prior to Mobutu’s Sept. 14, 1960 military coup, CIA Director Dulles had flown to Brussels to brief Burden “on the recent decisions of the National Security Council” and told Burden that “he believed the leader we could depend on in a showdown with Lumumba was young Colonel Joseph Mobutu, second in command of the Congolese army,” according to Burden’s Peggy and I book. 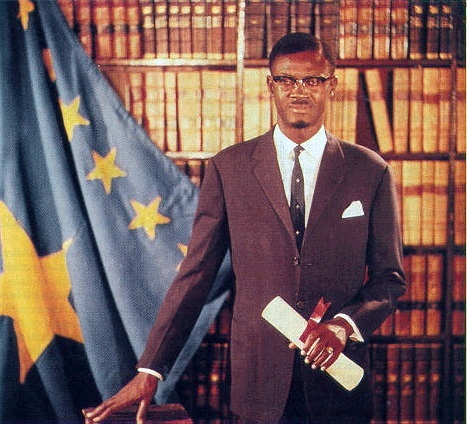 “…The United Nations, which could exert its authority to prevent Patrice Lumumba from broadcasting, was, so it pleaded, quite unable to prevent his arrest by mutineers or his transfer, through the use of airfields under United Nations control…The United Nations would not effectively intervene to save the life of the Prime Minister or his colleagues…Our dear brothers Patrice Lumumba, Maurice Mpolo and Joseph Okito are dead…”. A folk song about the free youth community in Copenhagen, Denmark, with lyrics that were written in Copenhagen in 1985, after visiting Christiania as a tourist. Seems Threatened by the poverty.